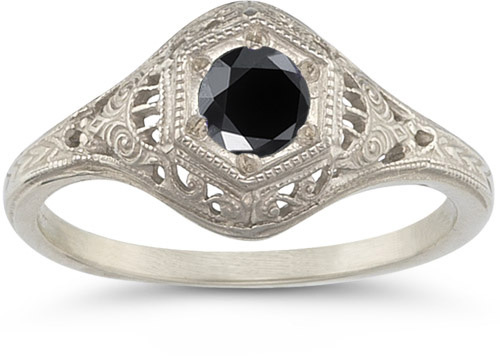 Antique-style black diamond engagement ring and wedding band set in 14k solid white gold with a 0.35 Carat High Quality Center Black Diamond. 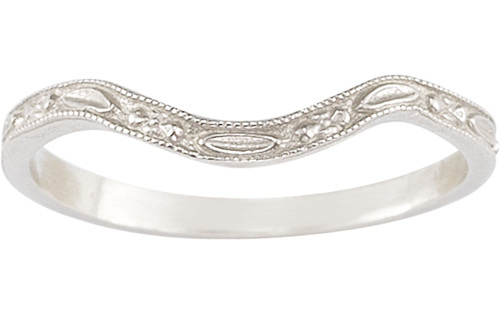 Also available with white diamond or in 18k gold or platinum, by request. 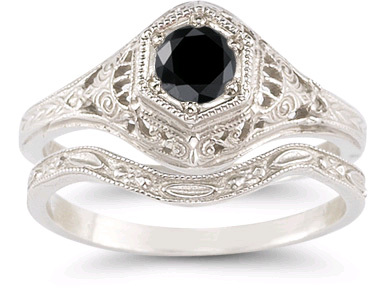 We guarantee our Antique-Style Black Diamond Bridal Set to be high quality, authentic jewelry, as described above.